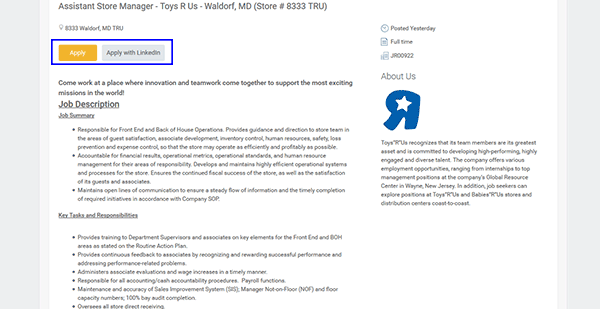 Follow the guide on this page to learn how to search for job openings in your area (and apply for them using the Toys”R”Us job application). 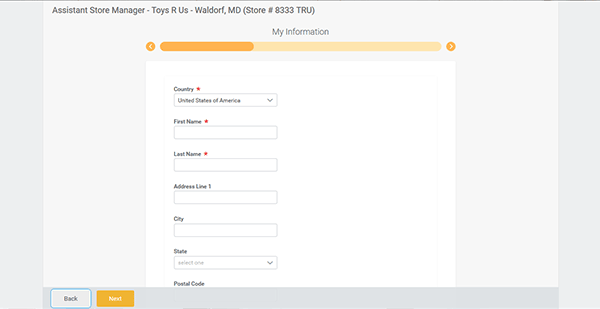 Toys”R”Us is an American toy/kids store with more than 850 locations in the United States (and several hundred more throughout the world). Search for current openings by visiting the careers site (linked to at the top of the page/in the guide below). Step 1 – Go to this page. 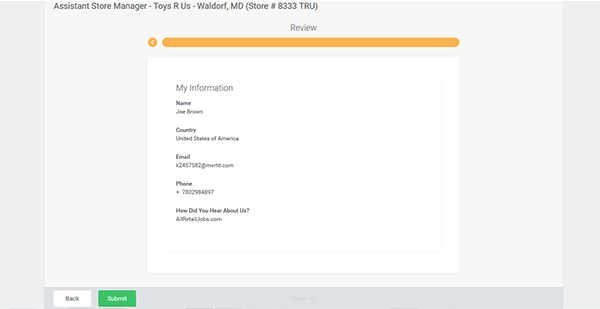 Step 3 – The search results can be filtered by job type, location, etc. Step 4 – Click the link of the job you want to apply for. Step 5 – Review the job description, requirements, and key tasks/responsibilities. 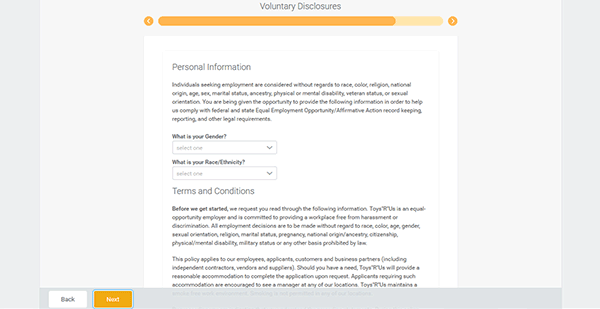 Press the “Apply” button to begin the online application process. Note: You can also apply using your LinkedIn profile (click the “Apply with LinkedIn” link). 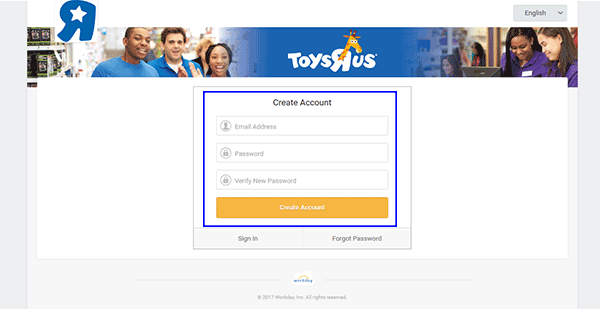 Step 6 – Sign in to your account (or create a new one by pressing the “Create Account” button). 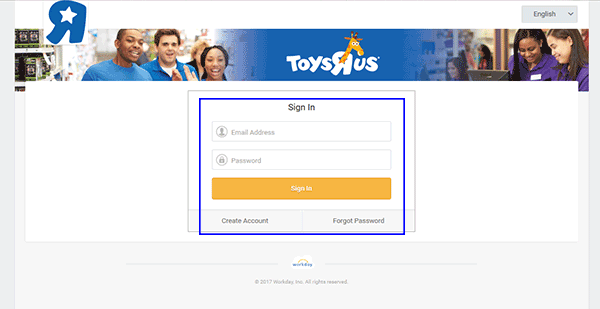 Step 7 – Enter your email address and then create a password. 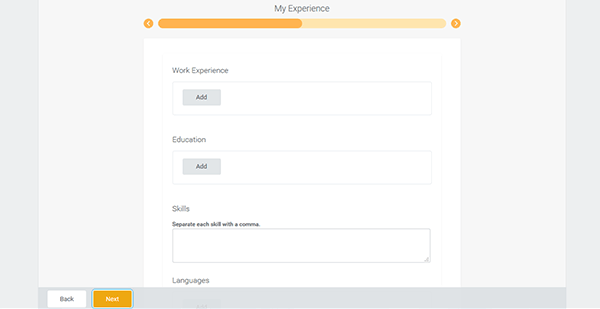 Step 8 – Quick Apply – Upload your resume or CV. 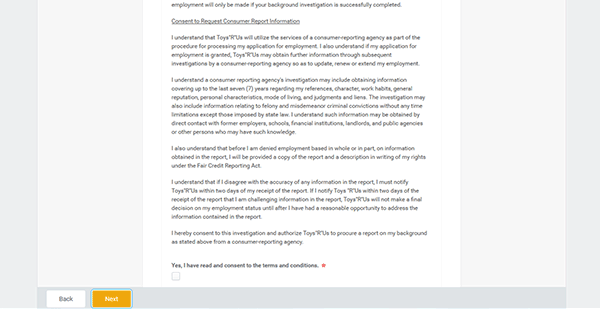 Step 13 – Consent to the terms/conditions. 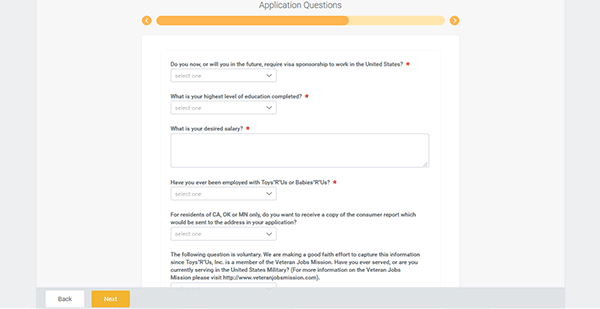 Review your application information and then hit the “Submit” button.